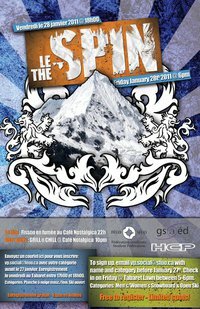 Tonight on Taberet lawn Ottawa U will hosting Le Spin ski and snowboard rail jam. Craig (think Capitalized) was responsible for helping out with the setup. Starts at 6:00pm.